Probably should start one of these. Almost done with school, dudes! 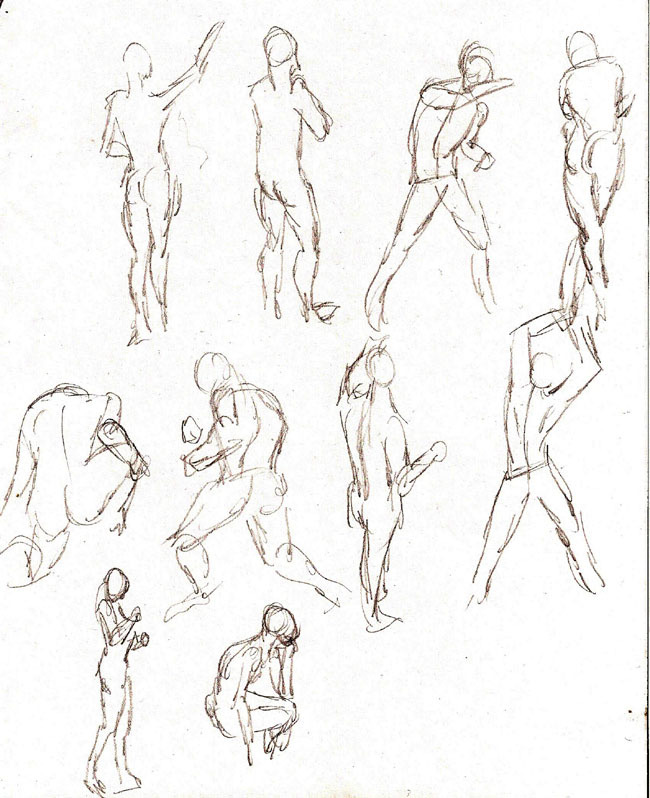 All I've drawn in the past couple weeks are some 30-second poses I got from Posemaniacs. These are all done with a pencil (don't know what kind of lead. It's a lead-holder) on good-ol' regular printer paper. Just a quick little blending exercise I found over at ctrl+Paint. Got my last final tomorrow, woo! 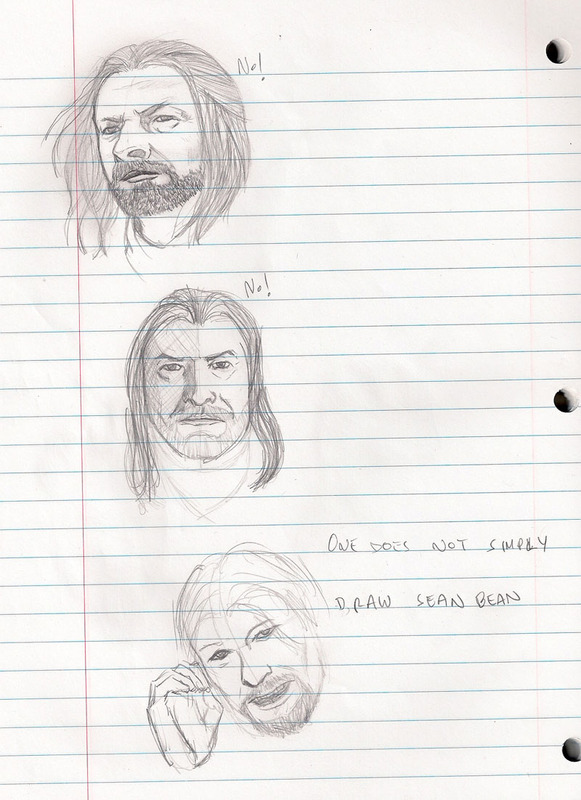 Also, I know I didn't mention it before, but feel free to add critique, even to my sketches. Anything you see I could do to improve, let me know. It will help me... well, improve! I've browsed through ctrl+paint before, it really is a frikken useful site. All i gotta say is to get used to making more sweeping, confident lines for your figures (and everything else) Draw from your shoulder and elbow, keep the wrist still. Finally decided to practice what I've been studying from Loomis (as opposed to just reading and looking at the pretty pictures). 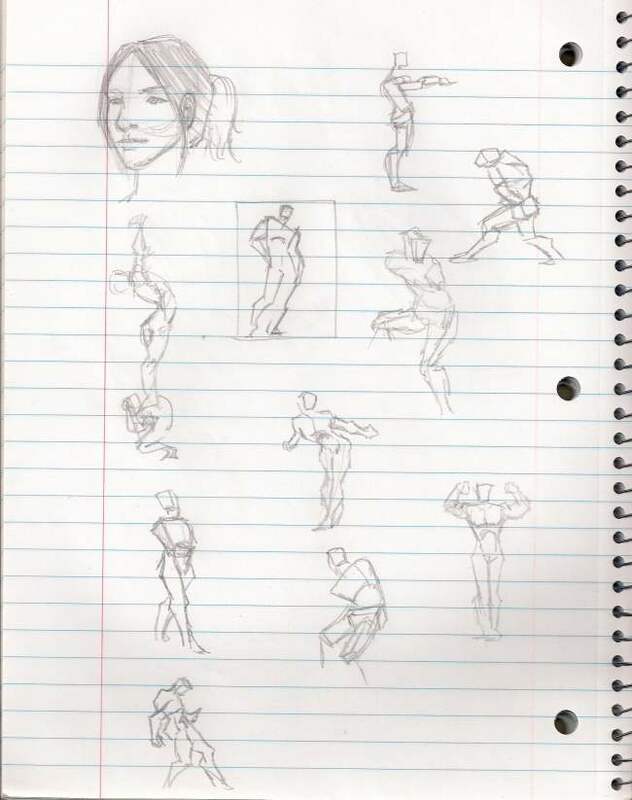 So, I've decided, in order to get better, I have to basically "reteach" myself how to draw, and what better way to start than to learn from the master himself, right? More Loomis studies. Trying to get a sense of action this time. BY DRAWING A BUNCH OF SKELETONS. The two big ones and the ones to the right of those are taken from Loomis' book. The rest of them are drawn from imagination. As always, critique is appreciated. Still working on my figure and anatomy, but today, I decided to mix it up a bit and do some head/face studies, taking after Kevin Chen. For reference, this is what I was trying to emulate. Been neglecting my poor, wittle sketchbook, here. This is her in her superhero persona (don't ask, I don't know) and since I've been in a comics/superhero craze lately, I thought this would be a lot of fun. good gestures. 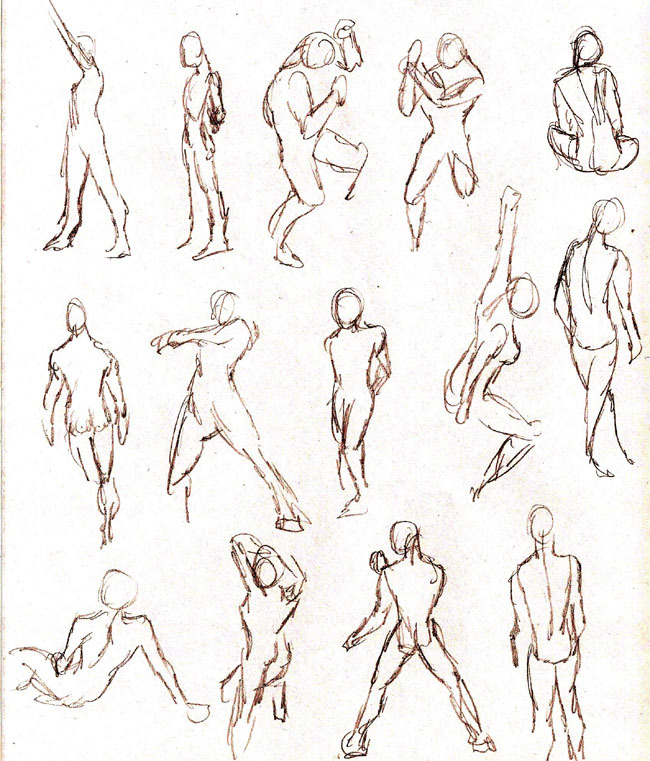 have you tried longer poses? don't forget the nice lines that happen with a quick gesture though. a longer drawing fleshes out the initial action line so try not to lose sight of it. I took your advice, and I tried these. Three minutes a piece. Having a constant time constraint made it harder to concentrate, but it was a good practice. Also, I'm working on a John Marston picture. Hands are one of my weaknesses. 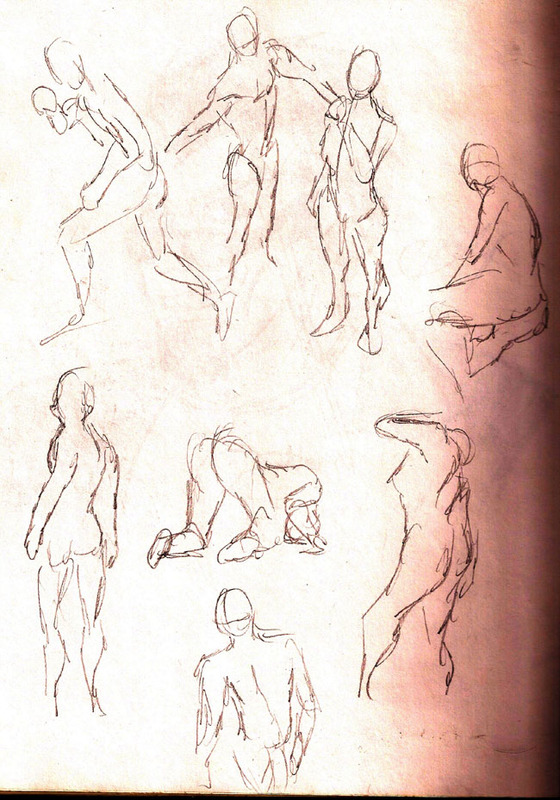 These are from Loomis' book, "Drawing the Head & Hands." More Loomis studies. Faces, this time. Just playing around with what I'm learning from Loomis. Just some random sketching. With the flooring in my house done, I need to get back into the swing of things. Gotta warm back up so I can finish the Succubus drawing. Pretty awesome how you're picking this up quickly. You're putting in a lot of effort and it shows. 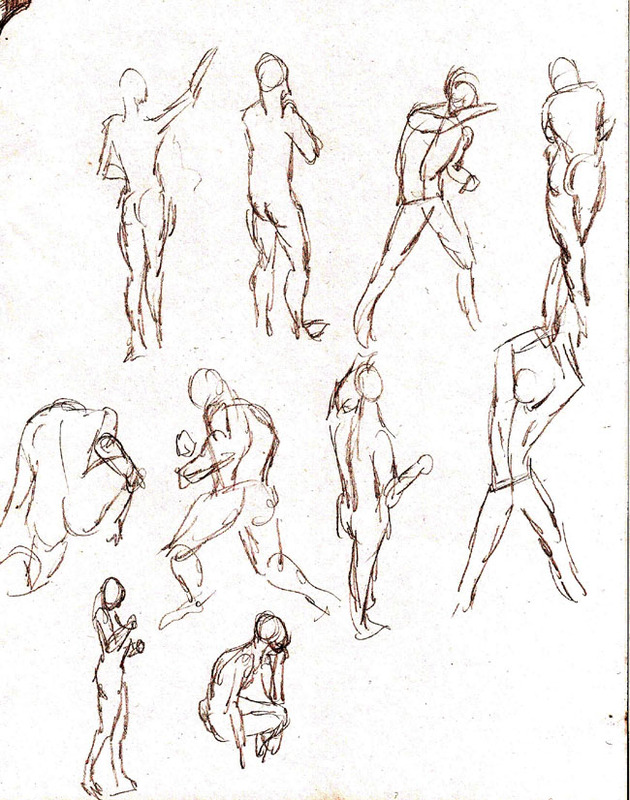 So, instead of paying attention during my System Analysis and Design class, I spent it doodling some gesture sketches, taking after Bridgman's studies. 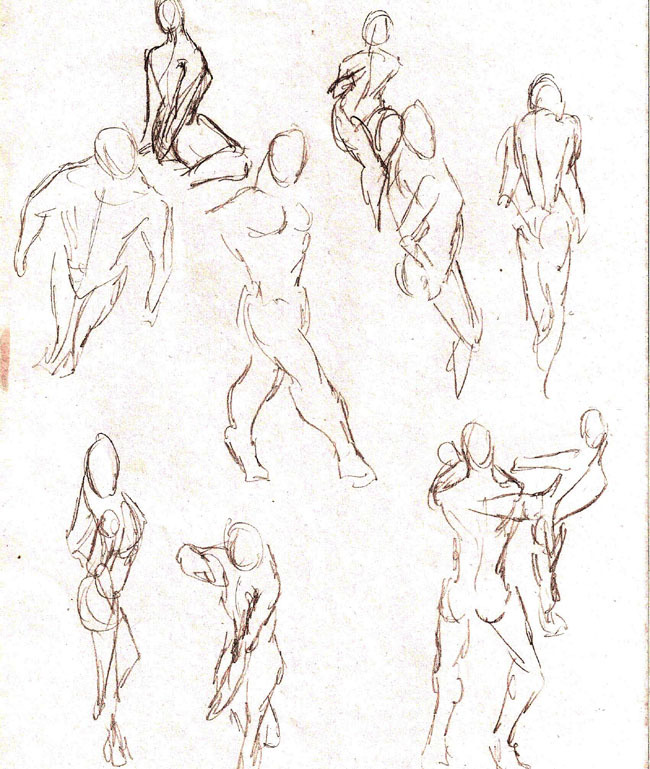 It's funny how easy I find doing gesture sketches, but as soon as I try to turn it into a full-fledged drawing, oh no! I think I spent about 30 seconds on each one. 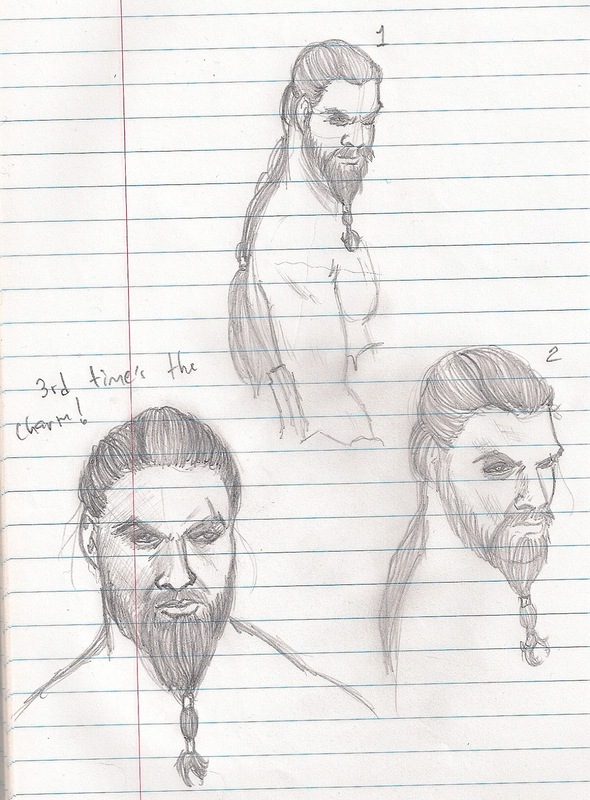 After seeing Ast's GoT drawings, I decided I'd take a shot at my favorite character, Khal Drogo. This was, again, done on my System Analysis and Design class. I tried for a semi-realistic approach at first, trying to do a comic-y look, then I tried again with more emphasis on the realism. The third one, I tried realism, and it's my favorite one. Is this what you guys mean by 'drawing from life'? We all knew you would. 15 minute sketch while I wait for my Ragnarok game to patch. Ragnarok Online female mage. Decided to try a textured brush for funsies.